Huddersfield Giants host Warrington Wolves this Thursday evening (7:45pm kick-off) with both side’s looking for their first wins of the 2018 Betfred Super League season. To many, Huddersfield’s greatest attacking threat is 2017 Golden Boot nominee Jermaine McGillvary, the scorer of 27 tries in 33 appearances for club and country last year. But, the Giants also pose a sizable threat on the other wing through winger Aaron Murphy, who has an outstanding scoring record against Warrington. The Leeds-born wideman has scored a remarkable nine tries in his last six league appearances against the Wolves, including a double when the two sides last met and the Giants won 44-4 at the John Smith’s Stadium. At £150,000, Murphy comes £50,000 cheaper than talisman McGillvary, who may well be rusty in his first appearance of the season, particularly after a knee injury and a disrupted pre-season schedule. At just 18 years of age, Jack Walker is regarded by many as one of the hottest young prospects in Super League. The full-back burst into the Leeds first-team last year, making ten appearances for the Rhinos in his debut year, including starts in the play-off semi-final against Hull FC and the Grand Final against Castleford. Walker has picked up from where he left in 2017 as he was preferred to number one Ashton Golding for last week’s season-opener against Warrington, and justified Brian McDermott’s decision with a man-of-the-match display. Although it was particularly in defence where Walker impressed against the Wolves, the full-back will see a lot more of the ball going forward against Hull KR, giving him the chance to show his skills away from his own try-line. 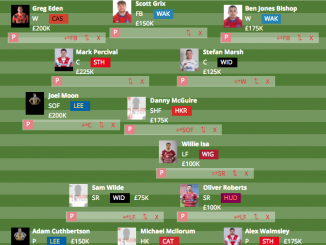 Finally, given that he costs just £100,000, Walker is the joint-cheapest full-back in the game and is absolute bargain for any Fantasy RL team. 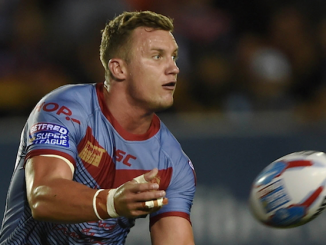 Like Walker, Wakefield winger Tom Johnstone was exceptional in round one, scoring a hat-trick in his first competitive appearance since May following a serious knee injury. The first and last of Johnstone’s scores where spectacular also, with both being incredible one-handed diving finishes in the far-left corner. Factoring in another treble, scored in pre-season against an admittedly weakened Halifax side, and Johnstone looks like the form winger in Super League at the moment. Friday’s fixture again looks like another winnable one for Wakefield, particularly considering Salford’s woeful run of form and off-season struggles. The Red Devils have lost 11 of their last 12 matches in all competitions and suffered a heavy 40-12 home defeat to Wigan Warriors in their last outing. Wigan’s wingers Tom Davies and Liam Marshall enjoyed plenty of success against Salford, scoring once and twice respectively, and I’d expect Johnstone to do the same against their leaky backline. St Helens were magnificent last week in their 46-6 win over Castleford Tigers and, quite rightly, are being touted by many as favourites to win the Grand Final, even at this early stage in the season. Whilst man-of-the-match Ben Barba and hat-trick hero Mark Percival caught most of the headlines, half-back Danny Richardson went under the radar despite his superb display. Richardson started ahead of Theo Fages and Matty Smith in the halves against Castleford and converted all but one of his side’s tries, with seven goals in the rout. As the common saying goes, ‘if it ain’t broke, don’t fix it,’ and you’d expect Justin Holbrook to apply this mantra to his team selection and keep Richardson in the side at the expense of former England international Smith. For the goal-kicking, first-choice half-back of, arguably, the best side in Super League, £75,000 is ridiculously good value. History will be made on Saturday evening when Wigan Warriors face Hull FC at the WIN Stadium in Wollongong, Australia, in what will be the first Super League fixture to take place outside of Europe. 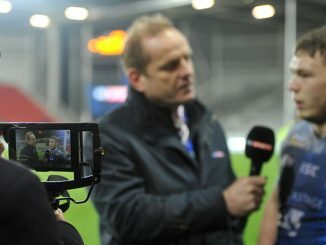 Of course, the attention will be on the occasion rather than the match itself, but let’s focus on matters on the field. 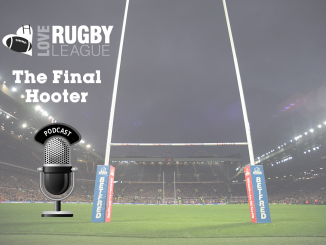 Both sides enjoyed strong first outings in round one as both Wigan and Hull came from behind to win connivingly against Salford and Huddersfield respectively. Despite the closeness between the two club’s in recent meetings, Wigan are the bookies’ favourites and look set to threaten through returning centre Oliver Gildart. Gildart scored twice in Wigan’s 40-12 rout over Salford, picking up his form from 2017 where he scored 15 times in 20 appearances. The centre has scored in his last two appearances against Hull FC and with Joe Burgess likely to return alongside him on the left wing, he should be even more of an attacking threat. Castleford were resoundingly beaten last week by St Helens and Daryl Powell’s side will be out to kick-start their season when they host Widnes Vikings on Sunday afternoon. 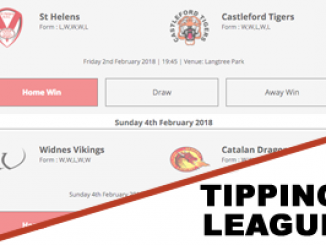 Widnes, tipped by many to finish bottom of Super League this season, served up a shock result when they comfortably defeated Catalan Dragons 40-12 in round one. But, if Castleford can find shades of their scintillating form from 2017 then you would expect them to have too much for Widnes at The Jungle. So far, bargain buys have been tipped so it’s only fair to choose a more expensive and reliable player for the final recommendation. Greg Eden couldn’t have dreamed of a better debut season with Castleford than he enjoyed in 2017, as he topped the try-scoring charts with a sensational 41 tries from his 31 appearances. Castleford will be out to prove wrong those that detract them as one-season wonders and if there was ever a banker for a Tigers’ try-scorer, it’s Eden. Admittedly, an expensive purchase at £200,000, but Eden’s record speaks for itself.